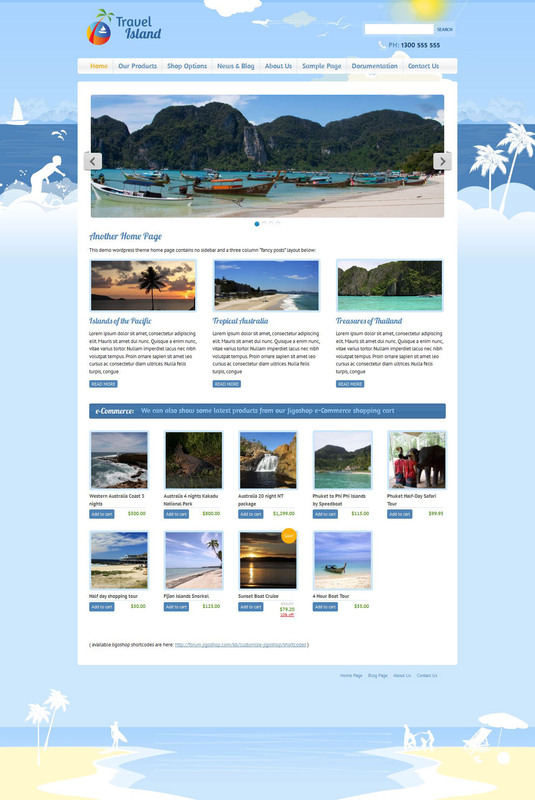 Travel Island is a WordPress e-Commerce theme that is easy to setup and comes with a great bunch of features. The design features shades of blue, boats, palm trees surfers waves the sun and clouds. The footer is a beach scene in simple 3 colours. Perfect for a holiday, travel information, hotel, accommodation, surfing or destination themed website. Travel Island can be used with the WooCommerce e-Commerce system for online sales.